© Yijian Jiao. All rights reserved. 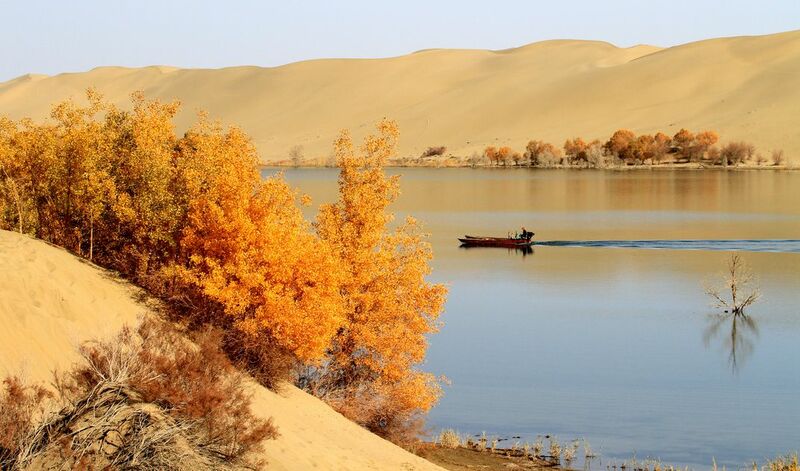 Luobu Lake in the Autumn: The rolling sand mountains, the mirror-like lake, and the golden poplars... all feast for the eyes. Date Uploaded: Nov. 12, 2018, 9:03 p.m.